Artcrib is about living with art and art community. BonehouseBridge refers to the body and its abilities to move, build, and make new connections. In neuroscience, this is called plasticity. At Artcrib there are bridges/ramps that make the property wheelchair accessible. ARTCRIB 18 involved artists coming together as a community to show how art is more than something to view in a formal white cube setting, that art is something to live with on the crib as we explore intent, purpose and relationships. This outdoor, residential pop-up show included a variety of media in 2-D, 3-D, sound and performance. Honored, was a graduate whose non-verbal language speaks volumes about being human. 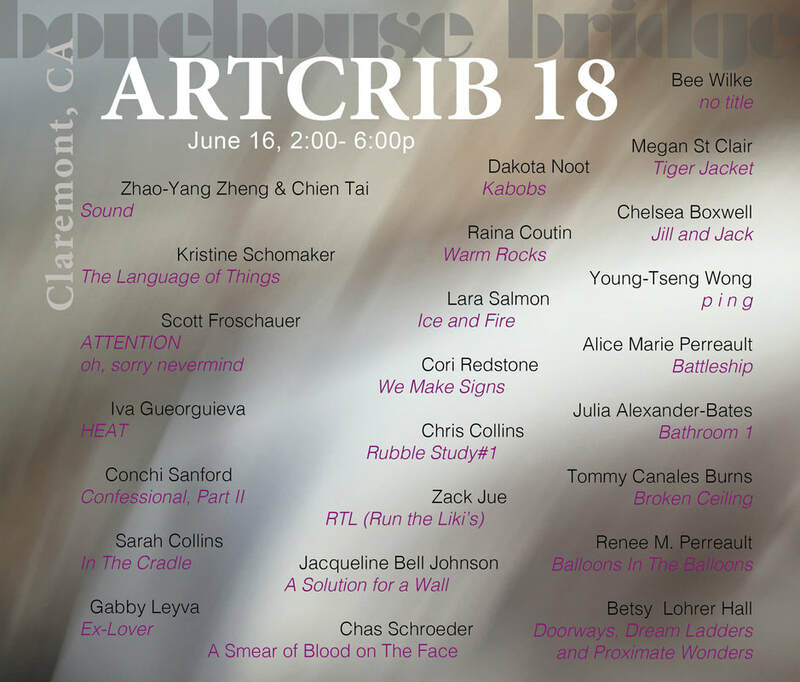 ARTCRIB 19 is being curated by performance artist, Young Tseng-Wong. Please check out the Facebook page for more information. Active link is above.